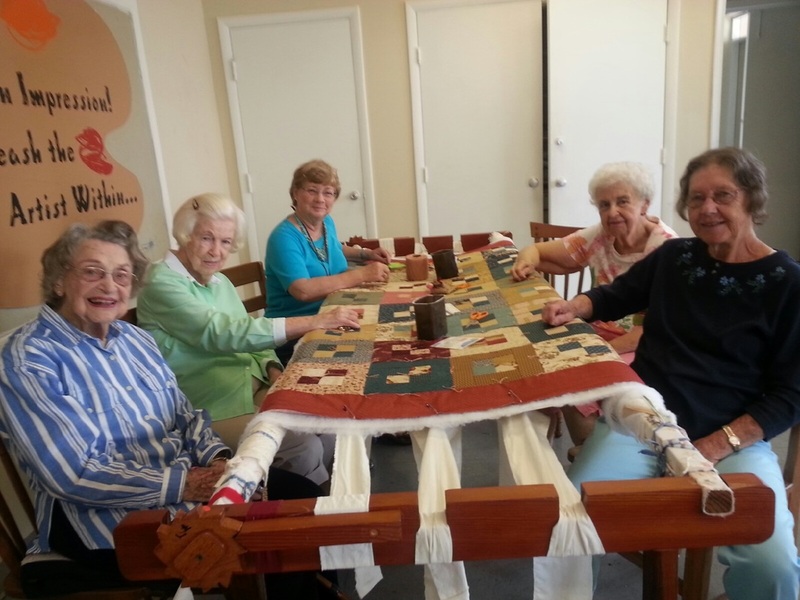 We Care Quilters is a small group with a big mission. 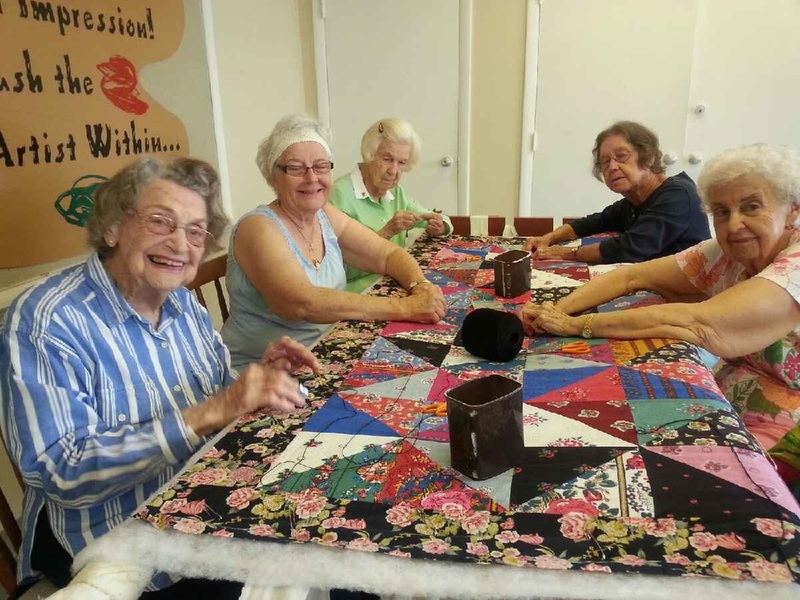 Their purpose is to make quilts for the V.A. hospital or for “Educate Tomorrow.” During their meeting time they tie quilts using a frame. Additionally, they would like to receive tops for lap quilts, full size quilts, or baby quilts. This is an open group that welcomes new members.